my husband and I are planning to go on a holiday driving from Melbourne to Uluru with our camping stuff in 13 days. I know it is gonna be a long long trip, but since we've decided and I need to make a fully prepared plan before we set off. I did lots of readings on your site and other sites as well as use Google map helps me work out how to get there and what to see. I've made a Itinerary, I'd love you to give me some advice after reading, our destination is Ayers Rock area and kings canyon, so other than that,we'd love to travel other attractions if we have spare time. The car we driving is Toyota sedan, the date we set off, let's say on Sunday 23th Oct to 4th Nov.
2. arrive in Adelaide or even further somewhere（please suggest）before sunset and stay over night in a motel or caravan park. 6. leaving on 31st from uluru back to coober peedy............... back home in Melbourne on 4th Nov. The rest of the days are driving back, any suggested places if the time are allowed? 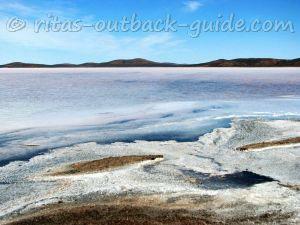 We do want to go to Lake Eyre via the Oodnadatta Track, but do we need a 4WD to get there? Do they provide 4wd tour service anywhere near there and do we need to stay one night there too? Please feel free for any advice, I've love to hear from you very much. You have been really good planning your trip. You have 3 long days of driving, but then you can relax when you get there. Now here are a few suggestions. 1.) I think it is good to get north of Adelaide for the first night, that would give you a good start for the long drive to Coober Pedy. There is certainly a motel north of Adelaide along the freeway (Port Wakefield Road). The Highway 1 Caravan & Tourist Park is on Port Wakefield Rd, Bolivar, about 18km north of the CBD. 2.) In my opinion it is worth to stay a day in Coober Pedy to explore this unique town. 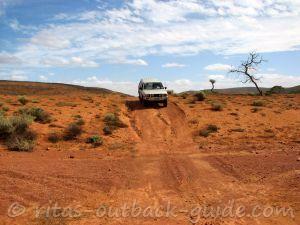 When you do it on the way to Uluru, you can take the Oodnadatta Track on the way back. 3.) 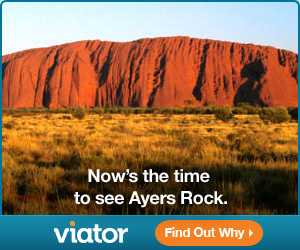 So you would arrive at Ayers Rock resort on the 26th. I think three nights / 2 days are good here. You have a full day to explore Uluru and one day for the Olgas. You can even join a a guided Aboriginal tour if you want. 4.) 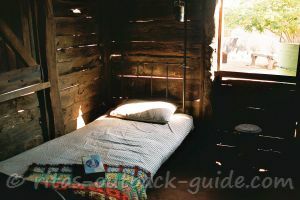 I would stay a night at Kings Canyon or Kings Creek Station. Doing Kings Canyon from the Ayers Rock Resort means you have to drive 600km on that day, so there won't be much time for walking around. 5.) So on the 30th you would leave Kings Canyon for say, Marla on the Stuart Highway. 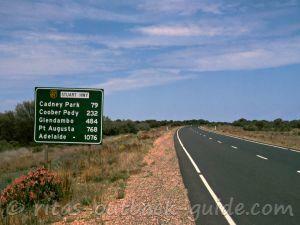 Next day (31th) you could go to Cadney Park and via the Painted Desert to Oodnadatta. 6.) 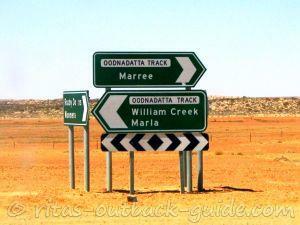 Next day (1st) you drive along the Oodnadatta Track to Marree. No, I don't think there are tours from Marree, or William Creek to Lake Eyre, but you could take a short flight. 7.) 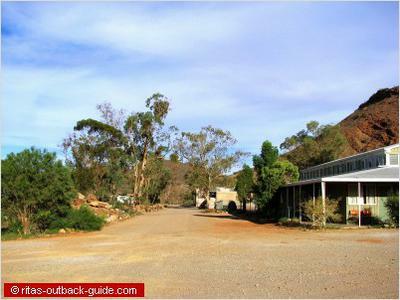 From Marree you drive down through the Flinders Ranges, perhaps stay the night at Rawnsley Park. Then you have still 2 days to drive to Melbourne (perhaps stay in Mildura which is very nice). This sounds like an exiting trip, and you are going to see great places in the Australian Outback. Of course, you need to check the weather and road conditions ahead before you leave Marla and go on the Oodnadatta Track and the Painted Desert. The route can be done in a normal car if its dry. Just ask at the roadhouses and fellow travellers what the road conditions are like. Have a great trip, and let us know how it was. Hi, Rita, we had a fantastic trip last year driving from Melbourne to Uluru and driving back through not only Oodnadata Track to Marree in our little toyota yaris sedan and we also went to Arkaroola which is located in northern Flinders Ranges. they are all dirt roads.even though Arkaroola was not in our part of plan. before we were going through oodnadata track, we asked a few locals on the way and in coober pedy. people are all very kind and quite supportive and encourage us to go ahead. and the weather was perfect, the road was open. and we checked our tires and all the parts regularly at petrol station. so we went ahead and made it. it is bumpy and slow in sedan, drove between 20km-60km, so we camped overnight at coward springs, it was a lovely night, had hotspring in the pool watching stars ;). next day we started early and drove to lake eyre south and ended our day at Arkaroola about 4pm. after that, we camped at wilpena pond for 2 days.and drove back along south australia coast line a few days, anyway we had a great trip , and went to so many places. ;), i think it is a road trip supposed to be. having fun and adventure. we don't have many road trip experience, so we did lots of homework, searching where to go what to see and booked accommodations(most of camping sites). food, water. lots of preparations before we go. also a good condition car is very essential, check the engin, tires , spare tire and tools and even on your trip whenever you are in the petrol station. after the trip, we send our car to do a big service. the car condition is still good ;). anyway. that's all i can share with you and my trip experience. i'd like to hear about other people's experience too and look forward to more road trips!! My husband and I will be driving from Melbourne to Uluru/Alice Springs in May. We only have 10 days for this trip (sadly). Can anyone suggest an itinerary that will allow us to get the most of our time? Thank you!! Thanks for reading this thread, 6 to 7 days in total driving from Melbourne to uluru sounds a bit tight but it's possible, you might have to face long drive and driving in the down and dust in June, generally once you get there,there are so many things to do in uluru, you need to spend at least 3 days about two nights exploring around, then you have to set off going back, check on Google maps, starts from Melbourne to Adelaide first then Adelaide to Cooper pedy, Cooper pedy to Ayers rock as my advice, accommodations along the way in Adelaide and Cooper pedy is easy to choose, so is Ayers rock. Staying in the cave in Cooper pedy is very unique experience 😉, anyway check your car condition before you go,stay on the main roar, try to avoid driving at night, driving safe and have a great trip! I am not able to monitor this, or other threads, closely, sorry. Besides, there are many routes between Melbourne and Port Augusta, I really don't know all accommodation places along the way. I also can't give everyone a personal plan. From Port Augusta there is only one route, the Stuart Hwy up to Uluru, Alice Aprings and further to Darwin. 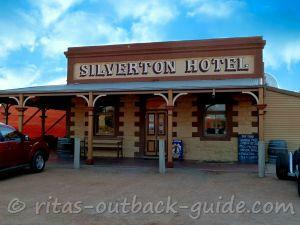 Here is an overview about things to see and accommodation along the Stuart Highway. Again, here is a Google map with the route of the shortest way. When you scroll down and read all comments you'll find heaps of information, and links to more information on my website, or elsewhere. Hi Mags, do you mean 6 or 7 days for the one-way trip, or Melbourne to Uluru and back to Melbourne? Seven days for the one-way trip means about 330km (3 1/2 hours) driving every day, 56 days means even more. Hopefully, your little one loves driving. For my personal taste this would be a rush. I hope you still check this thread. We have a short time to explore and drive from melbourne to Uluru and would like you and the many followers you have help us out. We have a young toddler 2 years old and can't camp out so any advice of where to drive and where to stay. I think we will have a Mazda cx5 to drive. We were hoping for only 6 or 7 days in total. Place that are toddler friendly to stay and when is a best time we were thinking June. I am considering doing a very similar trip to the other couple from Melbourne to Ayers Rock with my 2 boys over a 13/14 day period in early Oct. They will be 11(twins). I am an experience camper so am not concerned about the camping side of things, however am wondering about your knowledge of the safety of doing this on my own. I have heard Coober Pedy can have some trouble with theft plus being a female. I would also be doing the trip in tents, do you have any suggestions or tips to ensure I get this right. I have previously taken them on a 3 week trip up the east coast and had no problems however these areas are much more remote. Hi Rita, We six of them planned a small trip to Uluru from Melbourne for 8 days, we are hiring SUV car & all the way we are driving. The only concern is I am not able to plan my trip properly> Can you please guide me. I am glad you like my little site :). a) it might be too cold at night. Winter nights can get really frosty. However, with warm bedding and stuff, (which you certainly have), I don't see a problem. b) are you comfortable with putting up the tent every day on such a long trip? On the other hand, hiring a camper or trailer would cost you some money, which you can spent in a cabin, if the weather is really unpleasant, or you don't want to handle the tent on some days. Just in case you haven't seen it yet, here is an overview of the facilities along the Stuart Highway bet ween Port Augusta and Alice Springs. And even if you only go a little off-road, don't forget to ask ask for road conditions and weather forecasts before you go. Effy, to be honest, I would even consider more stops. I hate to sit so long in a car, let alone on a motorbike. If you plan (and you should do) a few stops each day, these will be really long driving days, especially the last leg of the tour. Love your site and the comments/discussion from fellow travellers. We are planning to come up from Melbourne around July this year and just starting to work through our itinerary now. We have a 2015 Kia Sorento and would normally carry our tent and camping gear in a 6x4 builder's trailer (canopy on top) and mostly stay in areas where there are facilities available. How do you think we would go off-road (nothing extreme) towing a trailer and are there any issues setting up a large tent as opposed to rolling out a swag? Also it looks as though a lot of people go for vans or camper trailers rather than the tent option. What's your thoughts on hiring a van/camper (we weren't intending on going too off-road anyway) versus sleeping in a tent? PS there's two of us plus two kids 7 & 10. My Hubble and I will be doing the trip in July. I'm thinking, Warnambool, Adelaide ( 2 nights) PorT Augusta ( overnight) Cooper pedy 2 nights Ulur 3 Kings Canyon 1 day and then ride back home. Is this realistic and I have reservations about the motorbike, it's a fairly comfortable one. I certainly will not be able to sit for a straight 9 hours to places. Hence, the amount of stops. I know it gets boring driving the Stuart Highway from Port Augusta to Alice, and the same way back. The only alternative route would be from Cadney homestead via the Painted Desert to Coober Pedy or to the Oodnadatta Track. However, these tracks are not recommended for caravans. Plus the rental company would certainly not allow to go on unsealed roads anyway. So it looks like it will be the same route up and down for you, at least from Port Augusta. Of course, you have several routes to go to Melbourne from here. Hi Rita, what a wealth of knowledge your site is!! Next year I am planning a 14 day driving trip in a hired camper van from Melbourne to Uluru (I will have my two sister in laws plus my two children in tow, so three drivers which will be great!). I have previously been the route of Port Augusta to Coober Pedy and then on to Alice, but this time round would like to see if we could return in another way, hence doubling what we can see. Do you have any suggestions? From Melbourne to Port Augusta you can choose several routes, the highways through the inland are slightly shorter than along the Great Ocean Road and the coast. Once you arrive in Port Augusta you have only the Stuart Highway. When you read all the comments and tips here in this thread, you'll find a lot of tips and ideas to plan your trip. Make several breaks throughout the day to give the kids a chance to move. This way it is easier for them to deal with a 5 to 6 hiurs driving day. 12 days caravan with 2 and 4 year old leaving SEPT 2!!! My hubby and I are planning on driving from Melbourne to Uluru for a 12 to 14 day road trip with two young toddlers! We sort of booked this trip hastily out of a lot of insanity and excitement without much reflection on the actual road time required!!! well, it is summer in December, and it sure will be warm or hot. But of course I can't say how hot it will be. You know, the weather is not always predictable. So I can only recommend to take it easy. Don't plan long strenuous walks in the middle of the day. Always drink lots of water. Enjoy your trip, even it is hot. I am planning to go Ululuru from Melbourne in December, I read a good comments and experiences about this trip. can you tell me if December is a good time to go there. I am scare about the temperature for driving. I'm planning to go in Hyundai Tucson, I think is a good car for long drive. Planning departing day is December 17 and back in Melbourne 1st January. will appreciate you recommendations and advises. May to September is the best season to travel to Central Australia in my opinion. If you plan camping, the nights in June and July might be a little too cold, but you can take stuff to keep you warm ;). You can check the average climate stats for Alice Springs here. when is the best season for this trip? My friends are planning to drive from Melborne to Uluru in next May or June. It is doable in 17 days, depending on how long you want to stay in Adelaide and other stops along the way. If exploring Melbourne is within the 17 days, one or two days more would be even better. Of course it also depends on how many kilometres you want to drive each day. On the map below is a suggested route, and you can see that the tour is roughly 2600km. If we plan to drive from Melbourne to Uluru. If we would like to see Melbourne, the great océan road, Adélaïde and all you said to Uluru... Can you tell us if 17 days are enought. We plan to hire a camping van in Melbourne and fly at the end feom Alice sprint to Perth. Can you suggest us a planning? Apart from the stops in the towns you mentioned, there are just roadhouses along the highway, no real towns. Of course it is also worth to stop in one of these places to get a feeling of the loneliness out there. 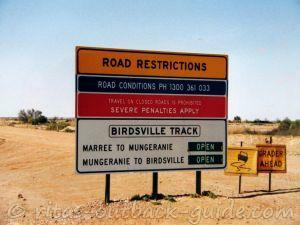 Check out my Stuart Hwy page for all stops between Port Augusta and Alice Springs, and detours from these places. We have planned our trip from Bendigo to Alice Springs for late June, early July this year. We plan to stop overnight at Adelaide, Port Augusta and CooberPedy. Followed by 3 nights at Ayers Rock and 1 night at Kings Canyon, then on to Alice Springs for 5 nights before we start our journey home. Would you suggest stopping at the same places (CooberPedy, Port Augusta and Adelaide) on the way home? Or is there different places on the way home that we should check out? I would love to hear from you! I am glad you find the site helpful. 2) A 32 - Mitchell & Barrier Hwy via Dubbo and Broken Hill. The distance is much the same, so you can take one route at the beginning, and the other one when you return. From Port Augusta it is the A 87 - Stuart Hwy north to Alice. 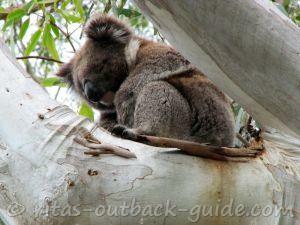 Check out my detailed description of the Stuart Highway for ideas of what to see along the way. I have stumbled across your blog and it is a wealth of information, thankyou! We are looking at towing over camper with 3kids under 8 from syd to Alice.. We have about a month to do it in. It will be the furthers and longest we have been in our van... Could u suggest a route? Looking at mid April to depart syd. Thanks so much for ur help. Thank you so much for your feedback. I am glad you and your family enjoyed the trip. Thanks for your advice we went Melb- BrokenHill for 2 nights, loved it. Pt Augusta next which was very pretty. Then Coober Pedy which was interesting and strange, the most road kill between those two and massive slow eagles feasting on that, scarey. Then straight to Uluru, we got a cheap family dorm which was great, stayed at Uluru 4 nights it was absolutely spectacular also went to Kata Tuta and the kids and hubby loved it, fantastic family time played 500 at night. We had magnificent sunsets and sunrise, the moon was full so it rose as the sunset, magic. 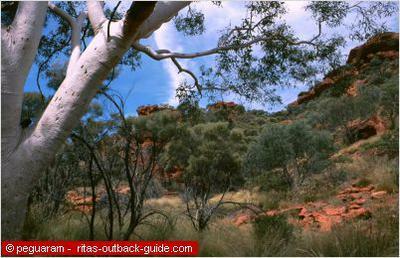 Then Alice Springs for 5 nights the dessert park there is excellent, and the gorges gorgeous. We went to Kings Canyon for 3 nights which was way too long one day would have been plenty. Then Coober Pedy onto a cute station called Nutbush retreat near Pt Augusta then the Flinders ranges for 2 nights, not long enough! April to October is the best time to travel into the red centre. However, the nights can get pretty cold during the winter months. So if you plan to camp, autumn and spring is the best time. You're planning a great trip, here are a few answers and suggestions. 1. 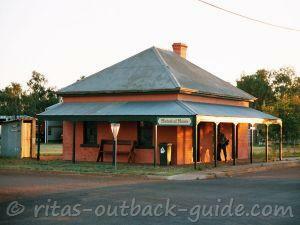 Places near Port Augusta... Melrose & Wilmington southeast are lovely country towns, Quorn to the east is also nice. But there is also a lot of choice of motels & cabins at caravan parks in Port Augusta. 2. Accommodation at Ayers Rock Resort is expensive! Curtain Springs is a good choice, they have reasonably priced family rooms that could accommodate your family. 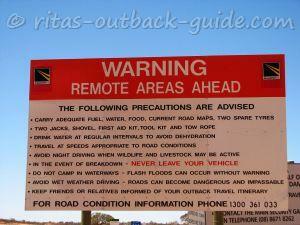 But it adds about 400km to your driving when you go 1 day to explore Uluru, and to the Olgas at the second day. 3. Three nights at Alice Springs to explore the town itself one day, and explore the West MacDonnell Ranges the other day. The gorges are simply stunning. The Namatjira Drive to Glen Helen is fully sealed. You could also do a round trip and return along the Larapinta Drive to Alice. However, there are unsealed sections, and the drive into Hermannsburg was extremely rough when we did it many years ago. 4. I wouldn't recommend towing along the Oodnadatta Track, especially if you don't have much experience. You could certainly do the Oodnadatta Track with your car if the weather is dry, but there is the possibility that stones damage the car paint somewhat. And don't go out to Lake Eyre without a 4WD! The access routes are strictly 4WD and can be very rough. 5. As for booking accommodation, to be flexible, I wouldn't book everything ahead. I would do it a few days ahead while you are on the road. Book Curtain Springs as soon as you know when you are there, because it might be busy there and they have limited capacities. There is nothing I could suggest to make your plan better. I ti s a long drive, but it has to bed one, eh? Enjoy your time at Uluru. 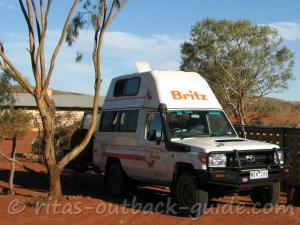 we are planning to do the trip from 12 to 23 of January, from Melbourne to Ayers Rock NT. As far as I have researched it is going to take us 3 day driving up there and 3 days driving back. we will be renting a SUV Nissan X-Trai, around $920 for 12 days, unlimited kilometers and road assistance(still looking for a better option). It seems like petrol for 2,300 kilometers may cost around $450 each way($900 trip. The first day (12/01/15) we will be traveling 9 hours to Adelaide (Highway 1 Caravan & Tourist Park, 925-963 Port Wakefield Rd, Bolivar SA 5110)spend the night. Second day (12/01/15), traveling 9 hours to Coober Pedy, spend two nights there. four day (14/01/15), traveling 9 hours to Uluru. Way back on 20/01/15. Uluru, Coober Pedy, Adelaide, Melbourne. can you recommend us, how can we do it better ? I am sorry I missed your message Matt. Was travelling at that time in April without much internet connection. I hope you had a nice trip and all went well. i would like some advise on which way to travel to and from Alice to Bendigo. i am leaving on 28th April 2013 and need to be back by 14th may. 2 nights in uluru. then to Kings canyon (2 nights)then Alice Springs (2 nights)so about 11 night so far. that gives me 5 days to get back to Bendigo. is it worth going some other way back or just the same way? thanks in advance for your help and suggestions. you are right, it is not easy to make suggestions on a website. On the one hand, I don't want to discourage people, because travelling with a 2WD can be done in perfect conditions and with a responsible driver. Not on all tracks, of course! See, Jessica and her family had a great trip, and they did research and seemed to be well-prepared. On the other hand, I know what it is like when you get caught in rain, saw quite a few cars on the Strzelecki who had huge problems. So all I can do is repeating again and again that it depends on the conditions, the driver's capability, careful driving and a car that is in good shape. I am really thankful for your thoughts and input on several posts here, thanks for taking the time. Thank you so much for your feedback. I am happy you enjoyed your road trip, and everything went well. Yes, Coward Springs is an amazing place, and so is Arkaroola. Good you got to see it as well. Rita I think I would use caution to recommend travelling along the Oodnadata Track in a sedan. Even though it was stated that they were using a Toyota sedan and I am assuming it would be a 2wd I would suggest if you come across rain, which is not uncommon now, there are far to many water crossings or "wash outs" to safely conquer the track, let alone lost traction on a wet track.